How many Z's can you find in this picture? 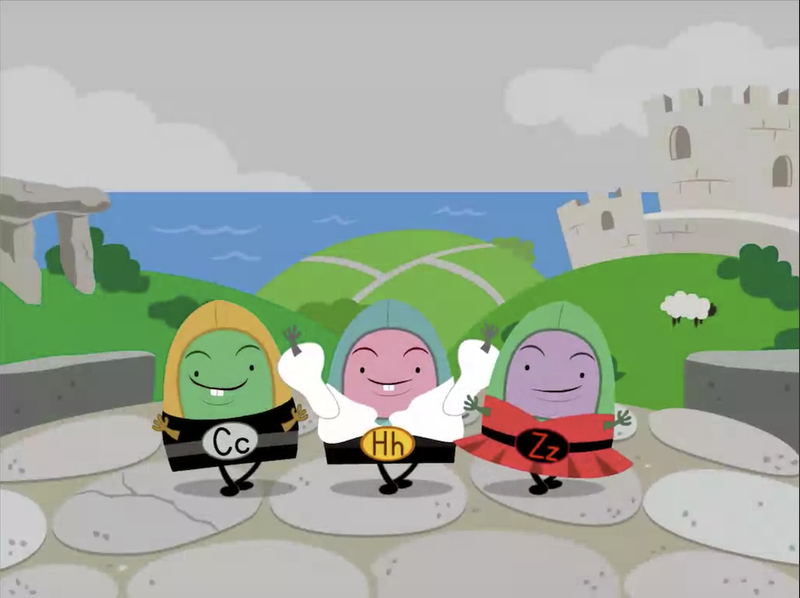 Help your child review her ABC's the fun way, with this coloring page full of hidden Z's. He'll get to hone his letter recognition, which will prepare him for writing. 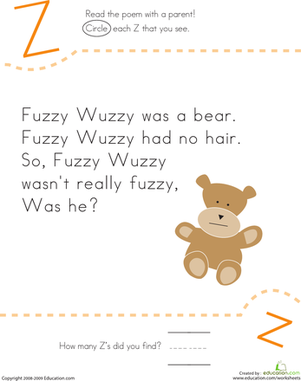 Kids find and count each letter Z in the silly poem on this year one reading worksheet. Make it all the way from A to Z to make an escape. 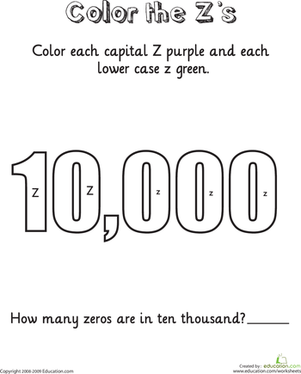 Add some Halloween colors to this mix while you review your lowercase letters. 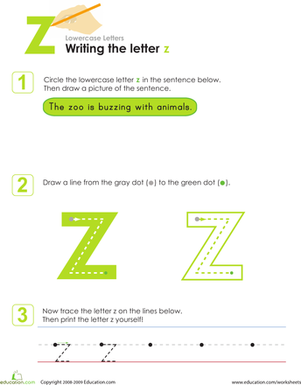 Kids learn how to write the letter Z through fun drawing, tracing, and writing activities.